June 17, 2016 – On Tuesday, June 14, the U.S. Senate approved its version of the Fiscal Year 2017 National Defense Authorization Act (NDAA), which provides funding for the Department of Defense. The bill passed the Senate by a vote of 85-13. The NDAA Senate compromise included language authored by Senators Cory Gardner (R-CO) and Bill Nelson (D-FL) that allows for the DoD to purchase rockets from any certified launch provider between now and December 31, 2022 so long as the provider offers the best value to the DoD. According to Gardner, the amendment promotes competition and assured access to space, while saving the DoD as much as $5 billion. A critical part of this year’s debate centered around the purchase of Russian-made RD-180 rocket engines, which are used by United Launch Alliance Atlas V launch vehicles. Designed and manufactured by NPO Energomash, the engines have been promoted for national security reasons by the U.S. government since the end of the Cold War, but the policy has come under scrutiny since the Russian annexation of Crimea in 2014. Senator John McCain (R-AZ), who chairs the Senate Armed Services Committee (SASC), has been particularly vocal about discontinuing usage of the RD-180 as quickly as possible, and hoped to limit the number of engines purchased to nine, but in the end, he also supported the compromise. “It provides for a sustainable path to achieve the broadly shared goal of assured access to space, competition in national security space launch, and ending our dependence on Russian engines,” McCain said in a statement. ULA has been the sole launch provider and has guaranteed access to space with its Atlas and Delta launch vehicles for the past decade. The Atlas V has unique cost and capability parameters that are unrivaled by any all-American rocket at this time, and has a 100% success rate launching satellites into all eight orbits used by the DoD. The Delta IV rocket costs roughly 35% more to launch and is reserved for missions that require heavy-lift capability. California-based SpaceX was recently certified for DoD launches using its Falcon 9 rocket, but the rocket doesn’t have a long track record. 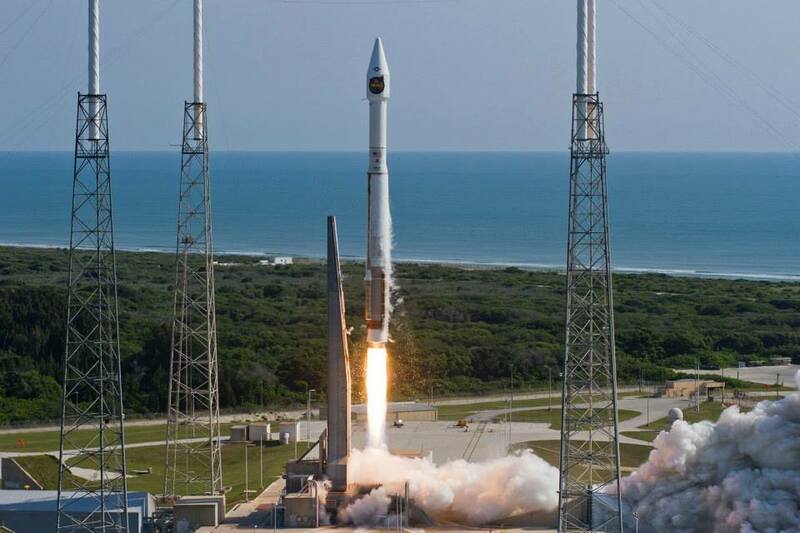 Without access to additional RD-180 engines, ULA would be unable to bid on national security launches. If SpaceX encountered any problems, the nation would be left without assured access to space. This issue now seems to be resolved by Sen. Nelson’s amendment, which allows for the purchase of 18 additional RD-180 engines for use in Atlas V launch vehicles for national security satellites and has an end date of December 31, 2022. The measure preserves competition in the national security launch arena, while providing critical time for the launch industry to develop and build an American-made alternative to the Atlas V.
“While we can all agree that the U.S. should not be dependent upon any foreign power – especially in the national security arena – it would have been far too dangerous to hastily restrict the use of the RD-180 before an American-made rocket engine is developed,” Shelby added. The House of Representatives passed its version of the NDAA last month. It also permits 18 engines and allows any certified launch provider to win contracts, but doesn’t include an end date. Now the two chambers will conference to work out their minor differences, but a resolution seems imminent. After that, the bill will be passed to the President. “I urge the President to sign the NDAA, not only because it supports our troops and their families, but also because it provides our military with the resources and tools it needs to remain competitive and protect the United States,” Gardner said. United Launch Alliance (ULA) is headquartered in Centennial, Colorado. The company has already started working on the all-American Vulcan rocket and expects to be finished and certified by the DoD in the early 2020’s. ULA is working with Seattle’s Blue Origin and Sacramento’s Aerojet Rocketdyne to develop engines for the new rocket.